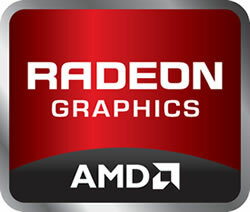 AMD’s “Sea Islands” graphics card lineup is set to arrive as the Radeon HD 8000 series in the second quarter of 2013, according to supply chain sources talking to DigiTimes. The Taiwanese website says Southern Islands’s successor was originally scheduled to land by the end of the year, but was pushed back as AMD focuses on its ongoing business reorganization. Other reports had pegged the launch for Q1 next year, which would have been in line with this year’s retail launch of the Radeon HD 7970 in January. There aren’t many details available at this point, besides the fact that the Radeon HD 8000 series will be based on the 28nm GCN 2.0 architecture (Graphics Core Next 2.0), which includes improvements to overall performance per watt as well as HSA (Heterogenous System Architecture) enhancements. The single-GPU flagship HD 8970 is expected to arrive first followed by the HD 8950, codenamed Venus XT and Venus Pro, respectively. Later on in Q3 2013, Mars and Oland based cards are set to take the stage, covering the performance and mid-range segments in notebook and desktop markets. If previous releases are any indication we should be looking at 15 - 20% performance gains from one generation to the next. While AMD’s next-generation graphics chips are still a few months away, it seems the company has already kicked off the HD 8000 label with a few rebranded mobile parts. Late last month a couple of retail listings cropped up for an Asus VivoBook U38DT with "Radeon HD 8550M" graphics -- likely a rebadged HD 7550M. Unsurprisingly, its main rival Nvidia appears to be recurring to the same tactics during the holiday shopping season, with a GeForce GT 730M-equipped Acer notebook showing up at a different online store.